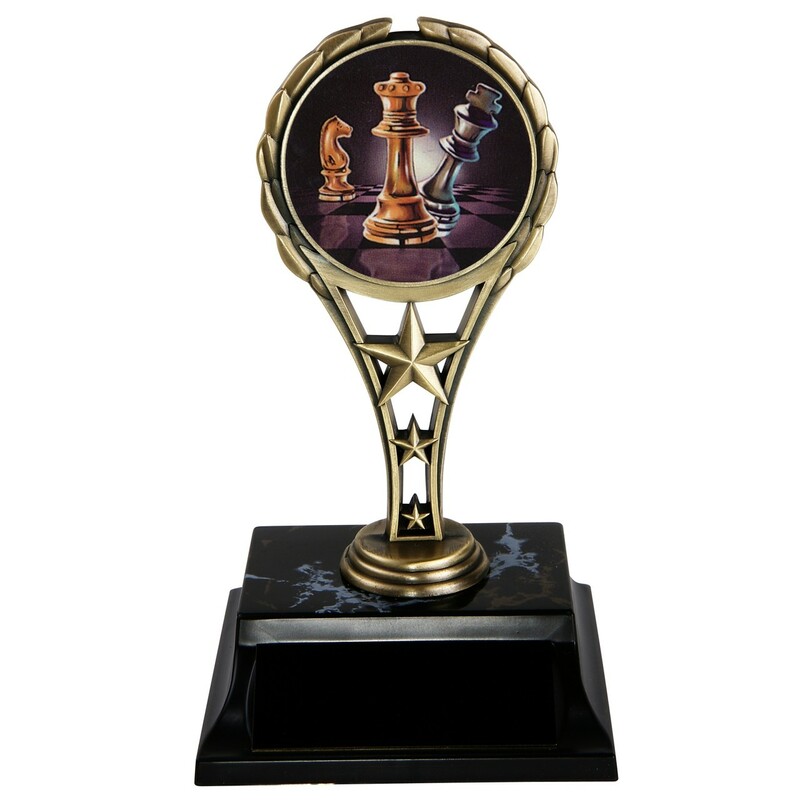 Take your chess tournament to the next level with the King of Chess Star Trophy. It features a gold metal star figure with a full color insert of chess pieces. The black base holds a black brass plate with golden lettering. Measuring 7 inches tall, this trophy includes up to 3 lines of engraving.